For years I swore up and down that I hated onions. Pretty much in any form. The only time I even ate anything onion-y was when it came to Funyuns. Which as we all know are not really onions. But then I tried the onion straws/rings/blooms at various steak-house type restaurants. And I loved the batter. And I got past the slippery squishy onion on the inside. Because man, were those good. We haven't been to a Texas Roadhouse/Outlaw/Outback/whatever in forever. 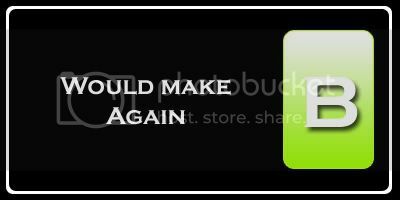 And I started to miss those slippery little onions coated in that awesome batter. So when I ran across a recipe for baked onion rings in Cooking Light, I promptly marked the recipe and forgot about it. Until I got the craving again -- and this time I made them. Combine flour, sugar, chili powder, cumin, salt, paprika, allspice, and eggs in a large bowl. 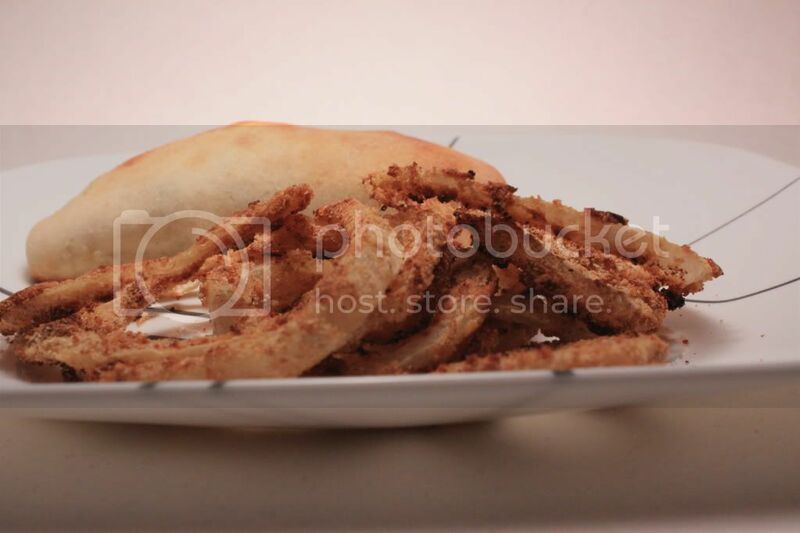 Dip onion rings in flour mixture. 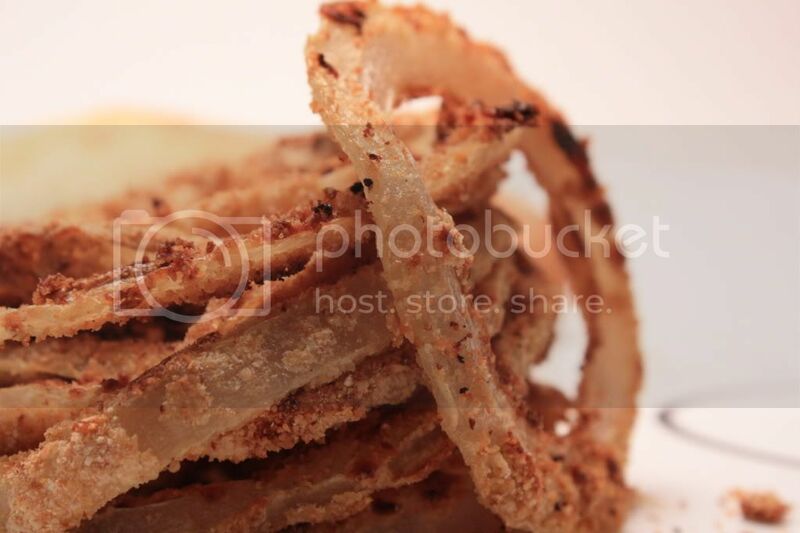 Place half of onion rings in a zip-top plastic bag; add 3/4 cup breadcrumbs, shaking bag to coat onion rings. Repeat procedure with remaining onion rings and remaining 3/4 cup breadcrumbs. 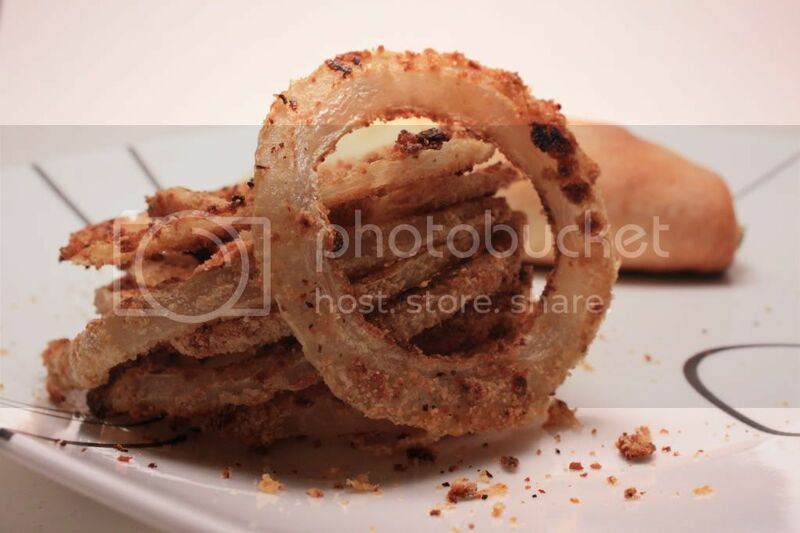 Arrange onion rings in a single layer on 2 baking sheets coated with cooking spray. Lightly coat onion rings with cooking spray. Bake at 450° for 5 minutes. Rotate pans on racks; bake 5 minutes. Turn onion rings over; lightly coat with cooking spray and bake 5 minutes. Rotate pans and bake 5 minutes or until crisp. Serve immediately. So steakhouse onion rings these were not. They were alright, but I felt that after the first couple onion rings went through the breadcrumb mixture it got really soggy and started clumping on the remaining rings. Which made some rings get very crispy and others to have places that were missing batter in places. Kind of disappointing. I would probably give these another go if I was in the mood again, but I'd probably place the breadcrumb mixture in a bowl and dredge them that way, rather than shaking in a bag.